Indian Hacker shared his video of hacking Microsoft Kinect Xbox to control Tata Sky ! The desire of remote free experience urged Harishankar Narayan a mechanical Engineer to hack into the Microsoft Kinect Xbox and control Tata Sky through Kinetic Movements. In a You Tube video which he has uploaded the man is seen controlling the Tata Sky with the movements of his hands. The mechanical Engineer said that he wanted a remote free experience which led him to fiddle with the remote of Microsoft’s Kinect Xbox and by trying and retrying he finally hacked into it to recreate his own codes. He says that he wants every appliance in his home to work according to his gestures. The man built the whole system with keeping in mind the minute details possible like hew had a device called USB UIRP which he connected to his MacMini. The USB acted as a detector of infrared signal and also was a universal remote for all the gadgets. The USB detected the infrared signals for the Tata Sky remote and then from there he set gestures or movemnts to control the Tata Sky. The hack started with the detection of the Skeleton detection code of the Microsoft’s Xbox Kinect. After that Harishankar Narayan used the open natural interface developed by the Xbox people and he transferred it to his MacMini. After this he did the last bit of the work and wrote the codes for the gestures that would control the Tata Sky. In an interview he also said that not only the Tata Sky but even Playstation can be controlled through kinectic movements. 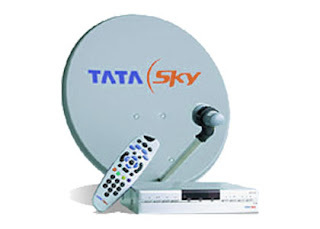 Tata Sky is slowly replacing cable companies as it provides good customer services to all and provides a good viewing experience to its customers. It has different plans for its users like childrens pack, adults pack, etc.